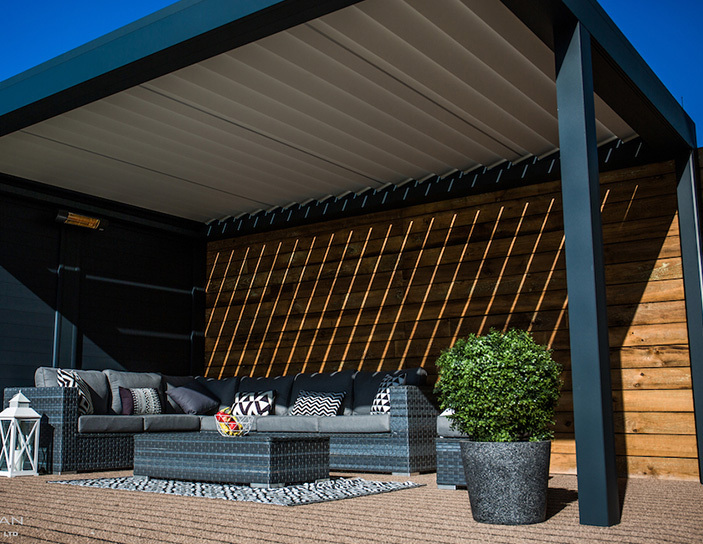 With an ever-increasing demand to extend your home, its easy to understand why the outdoor living pod is becoming more and more popular with every passing year. This advanced system will transform your garden or patio, giving you access to alfresco living every day of the year. 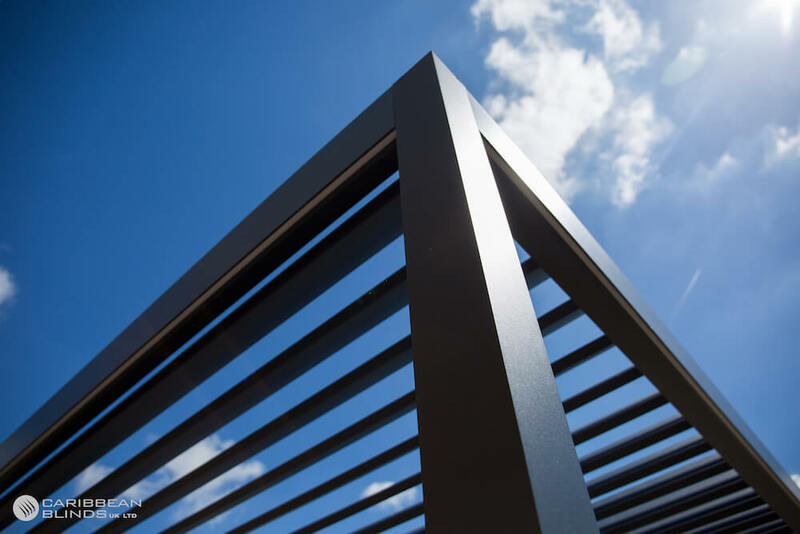 The structure itself is constructed of an aluminium frame, with automated louvered roof, which has the ability to rotate or slide (dependant on the model), simply at the touch of a button. 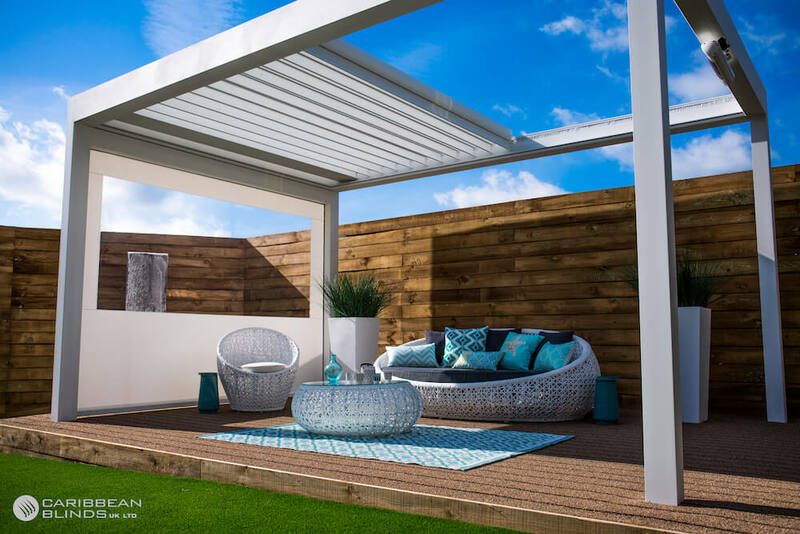 Putting you in complete control of how much sun, shade or shelter you require, complete with guttering system, optional windscreens, LED lighting and heating gives you fully functioning outside living space all year round. 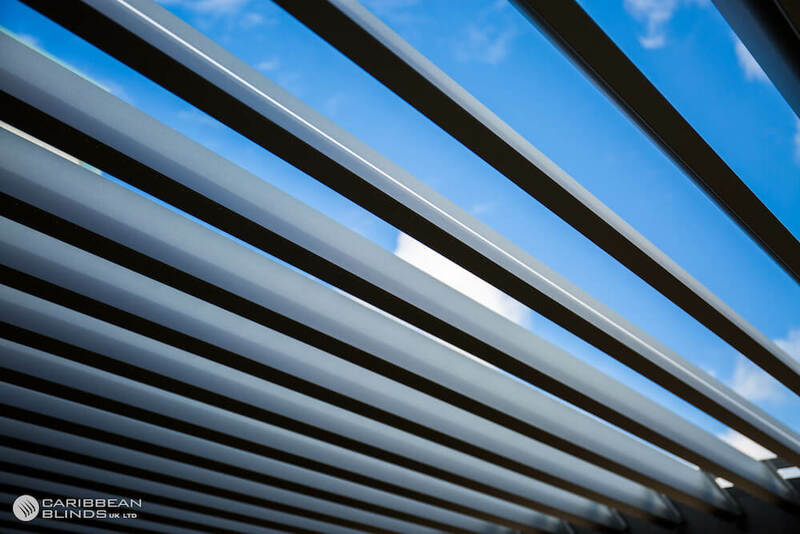 Our Awnings provide a touch of style to your patio, these retractable awnings will keep you, family and friends protected from the sun and harmful UV rays. With 3 different awning options available, starting with the entry level Anguilla Awning and the mid-level Tortola awning are both Fully cassetted with manual or motorised options, available in white as standard. 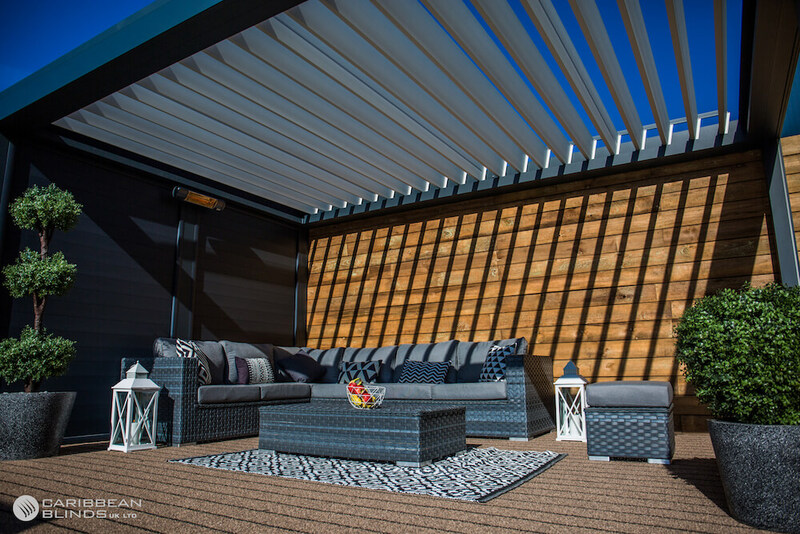 The Cuba Awning is a modern uniquely designed rectangular awning, motorised as standard with a choice of white or anthracite cassettes.  All of the Awnings come with an extensive range of fabrics unique to our products.